10/18/17 – Outreach Event for DBE/ MBE/ WBE contractors for the DC Water Northeast Boundary Tunnel project (Div. J). 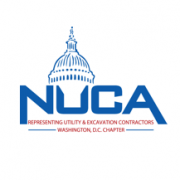 https://www.nucaofdc.org/wp-content/uploads/2016/03/nuca-featured-image.png 217 217 Debora https://www.nucaofdc.org/wp-content/uploads/2017/12/nuca-logo-with-dome.png Debora2017-10-16 13:52:292017-10-16 13:52:2910/18/17 - Outreach Event for DBE/ MBE/ WBE contractors for the DC Water Northeast Boundary Tunnel project (Div. J).